Make your identification & organisation labels look 'cool' the Deco Mode. chemicals and sunlight to suit your labeling needs. to connect to a computer. 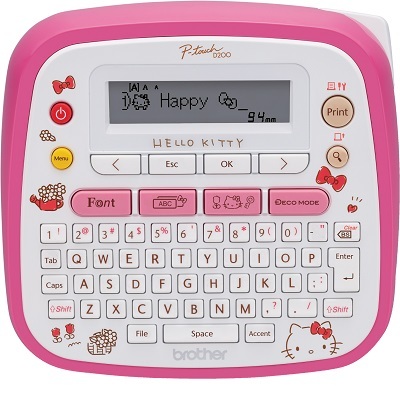 PT-D200KN is a stylish Hello Kitty labeling machine which contains 125 types of Hello Kitty patterns, 72 types of Hello Kitty frames, and 27 types of emoji. press print, peel, and stick.